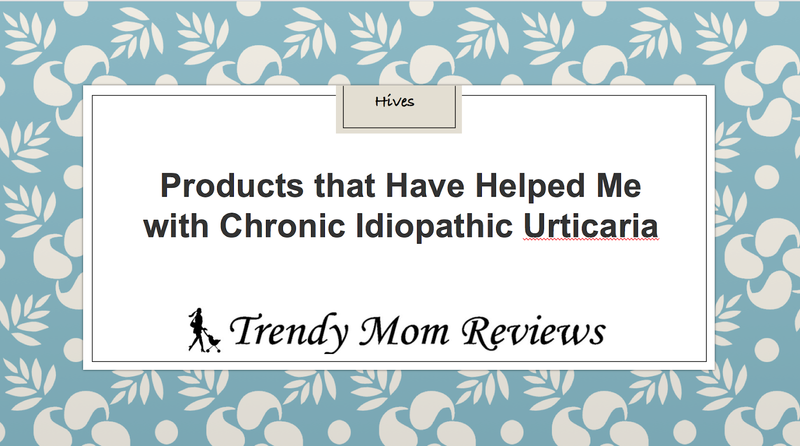 If you don't know what Chronic Urticaria is, then consider yourself lucky. According to WebMD, approximately 20% of people get hives - you know, welts that are either the same color as your skin or red and itch like no other. It's often caused by an allergy such as from food or a drug. In some unlucky people like me (probably <1% of the population), the hives occur for 6 weeks or longer. It's most common during ages 20 to 40, but it also occurs to people outside of this age range (like me). They may be triggered by a variety of things. Mine are triggered by heat and stress. (Who knows, maybe there are other causes and I haven't completely narrowed it down yet.) According to the WebMD link above, they last for 1 to 5 years. Personally, mine have come and gone for longer than this. Let me start by saying that if you have hives, you should see your doctor. There are so many different triggers, types and severities of reactions, and many other variables that vary from person to person. So please, visit your doctor and share your symptoms in order to find the best treatment for you. Personally, I'll share some products that have helped me with the itching. I sometimes have days where I feel a sense of never-ending itchiness. I want to scratch and have to work hard to avoid doing so. As I share the products below, again, they work for me and you should discuss them with your doctor. I have no medical training, so seriously, talk to your doctor and feel welcome to take the list below to ask if they may help you too. The next issue is body wash. I cannot use anything with fragrance. I either wash without soap or use the fragrance-free Aveeno Body Wash below. The next product is the Sarna Anti-itch cream. It feels cooling to me and is nice on contact, but I reapply it frequently when I use it. I've also tried adding a dozen drops of peppermint essential oil to an 8 oz. spray bottle. I like the products above better, but this is another option that I like too. If you have Chronic Urticaria, I sympathize. I hope that you work with your doctor to find ways to minimize the impact that it has on your life. I know how truly uncomfortable it is to have hives.